Aliaksandr Yasinski (acc) – Born in Baranoviči, Belarus, it was clear since his childhood that this guy is born for music. His enormous talent for music and hard work drove him through graduating the Minsk and Prague Conservatories (accordion and composition) and to following studies in sound engineering at the Academy of Performing Arts in Prague (HAMU). 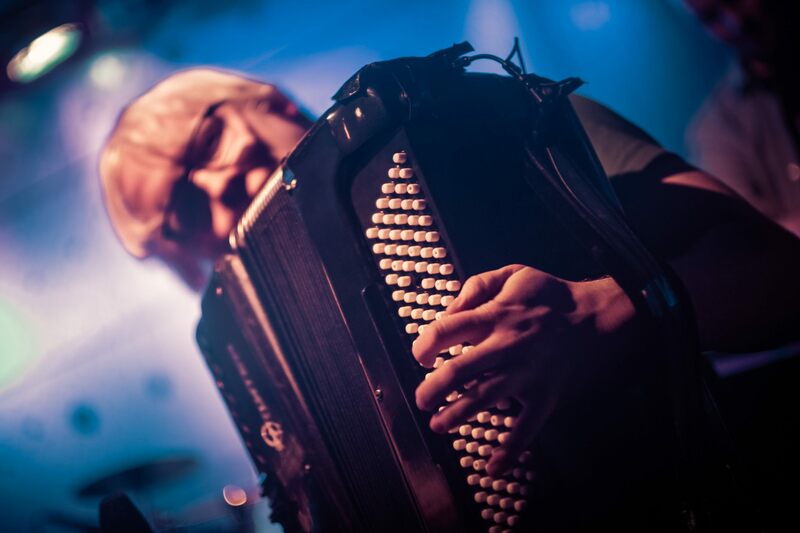 His button accordion does not get much rest as Sasha plays with numerous musicians and bands (Radka Fišarová, Iva Marešová, The Unlimited Trio etc. ), teaches and in the meantime he composes, runs a mobile recording studio, or transcribes for big orchestras. He co-founded Shum Davar in spring 2013. Gugar Manukyan (acc) – A Tbilisi born member of Armenian minority in Georgia, Gugar first studied at a musical high school in Tbilisi and later graduated at the Faculty of Music at the Institute of M. Nalbandian in Gyumri, Armenia. He first studied piano and later changed for accordion. In Tbilisi, he founded a family and besides music he began his career of a hairdresser. During the wild years of the beginning of the millenium, he had to flee from his beloved homeland and found a new home in the Czech Republic. He plays in the All Star Refugee Band and other musical formations. With his characteristic South-Caucasian feeling, he joined Shum Davar in summer 2014. 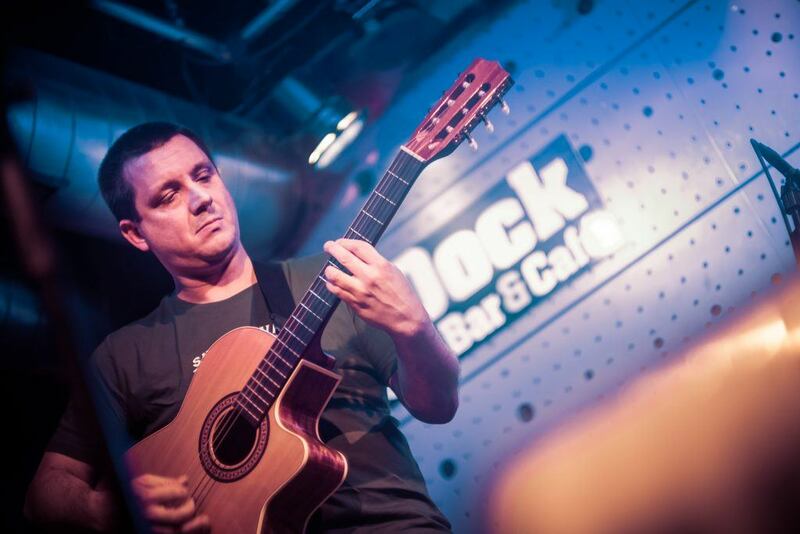 Juraj Stieranka (vln) – If some twenty five years ago, somewhere in the East Slovakia (around Veľká Ves and elsewhere), you saw a small boy dressed in an embroidered folklore costume, accompanying heroically local folklore bands, you could probably encounter Juraj at an early stage of his musical career. Until his thirties he practically devoted all his life to playing violin. Having graduated the Banská Bystrica Conservatory, he played in the Temperament Cymbal Orchestra and with a professional folklore formation Jánošík. 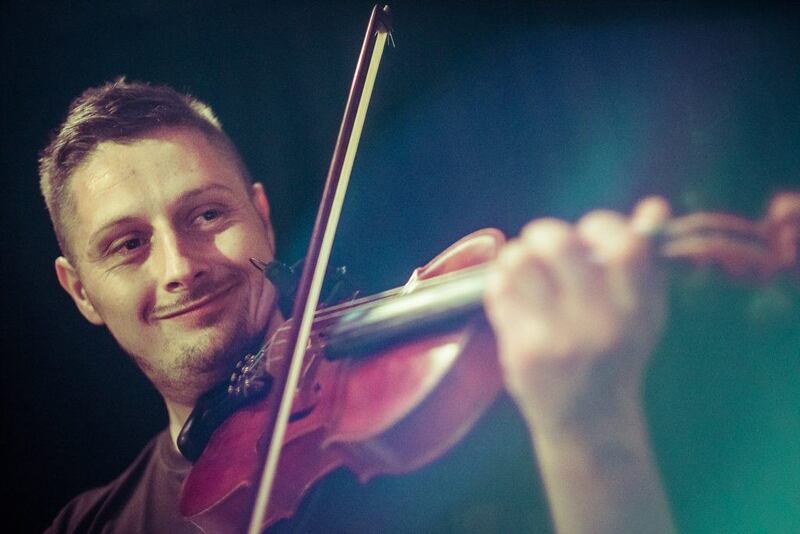 After he had moved to Prague later on, he almost instantly joined the folklore dance and musical group LImbora and co-founded Shum Davar in spring 2013. 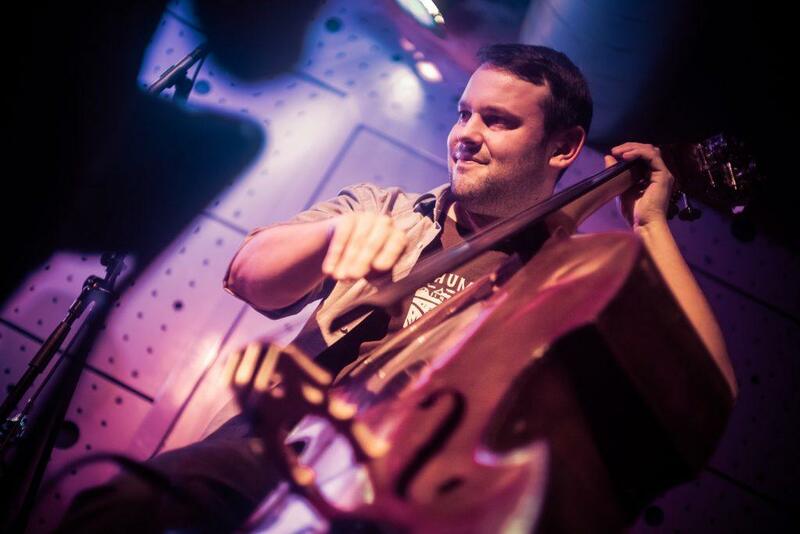 He also plays in Martin Krajíček Trio, Park Quartet a alternates in Cirkus Problem. Pavel Bartoš (b) – Pája comes from Rychnov nad Kněžnou in East Bohemia where found the love for music and surpassed the traps of Czech public educational system. He started with guitar, which still plays fantastically, but later he got enchanted by the bass tones. First, it was a bass guitar and later, now almost exclusively, a double-bass produced by maestro Oberlander (familiarly just “Rudolf”). Pája also plays with the Retro Projekt and other formations. Apart from that, he is an experienced sound engineer. Pája joined Shum Davar at its very beginning, in spring 2013. Daniel Kundrák (g) – Born in Hradec Králové, Daniel grew up in Poprad, East Slovakia, where he first encountered music. First it was flute, then clarinet and finally guitar. Since he was twelve years old, he joins different bands where plays the bass guitar. 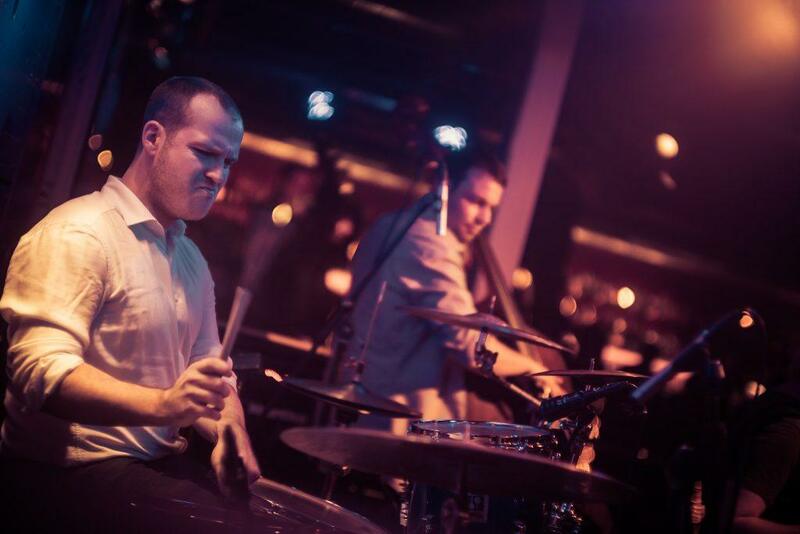 After graduating lyceum he follows up at the Jazz Conservatory of Jaroslav Ježek, joins the jazz JH Big Band and other jazz, rock and metal bands. After a long pause when Daniel plays the acoustic guitar merely for his family and close ones, he accepts the challenge to join Shum Davar at the end of 2015. Viktor Kundrák (d) – Born in Poprad under the High Tatras in Slovakia, Viktor grew up in Hradec Králové in the East Bohemia where he got the elementary general and musical education. 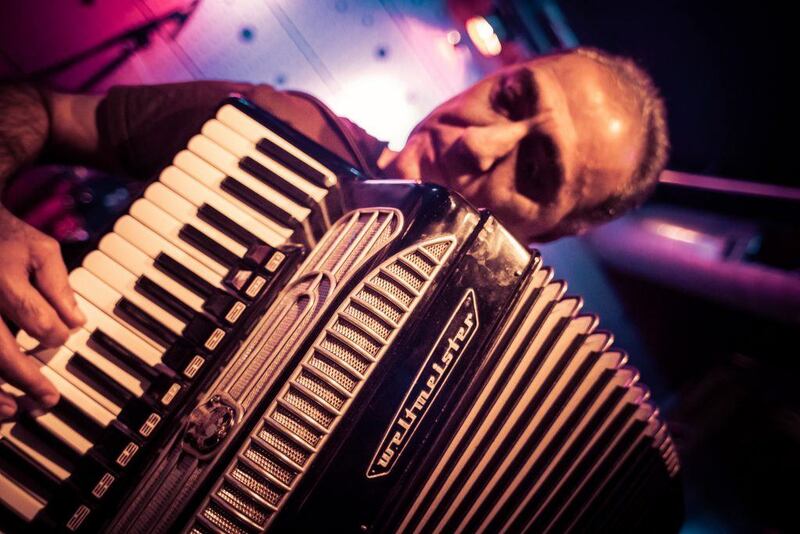 His passion for Klezmer, Roma and Balkan music was born Strasbourg in France, where Viktor studied in 2008. Here, he met an excellent guitarist, pedagog and passionate promoter of folklore music from East Europe and Balkans, Jean-Claude Chojcan, the founder and father of the Papyros’n project. He warmly welcomed Viktor in the band but would not have probably thought that Viktor keep on going in this direction until founding Shum Davar in spring 2013. It all began at Výtoň, at Prague’s Podskalí, on a background of Juraj’s smooth tones, sometime around midnight… Currently, the band is playing without Viktor.